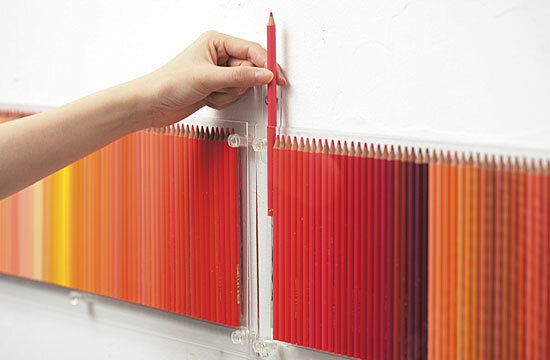 Odd One Out: I'm so in love with...... felissimo’s 500 pencils! 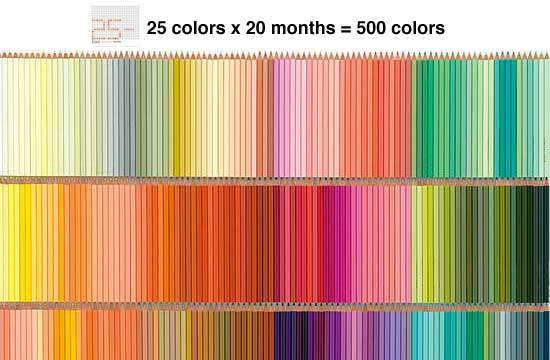 I'm so in love with...... felissimo’s 500 pencils! This may be hard to understand for those not completely obsessed with colour and pencils and storage like me. But I really NEED this......... it is an illustrators dream!!!! 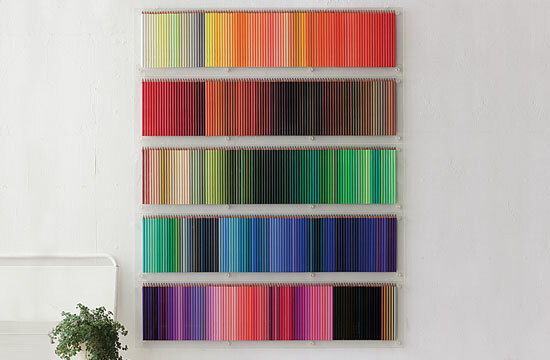 I am just beyond excited about this amazing wall of pencils - 500 to be exact. Actually so far beyond excited I was seriously jumping around in my seat grinning like an idiot when I first saw it. of 20 units with each pencil telling its own story with a unique name - lemon drop, Norwegian sky, drizzly afternoon and tragedy - the names themselves are as interesting as a story book and the colours as beautiful as a piece of art. If you buy the Aurora display case, the impact of all the colours together is just stunning. "It's about enjoying an unhurried creative process. As you build your collection, the pencils become your story and your experience. Each month for 20 months, 25 colors arrive by mail from Japan - packaged in like tones and hues. The collection gradually takes shape as each colored pencil set arrives, expanding the possibility of all that has yet to be dreamed." Eeek! how exciting - this is totally the way to build up a collection - I know I would be sooo excited waiting for each new package to arrive. hmmm, now how to justify this as a must have expense (especially difficult when most of my illustration is with porcelain paint on plates) Perhaps I could just call it a piece of investment art?